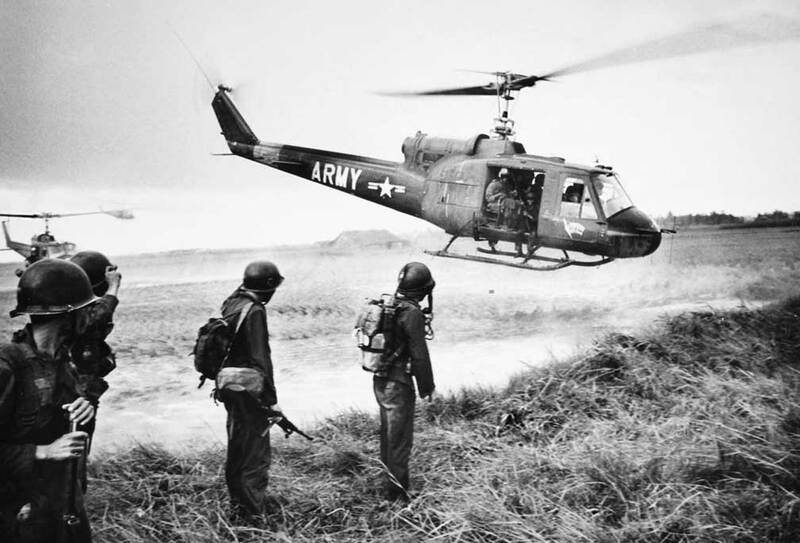 U.S. Helicopters are ordered to shoot first when encountering hostile forces after two helicopters are shot down while ferrying South Vietnamese troops. The South Vietnamese began what was termed a strategic Hamlet program. The concept was to force peasants to enter into armed stockades, with the expectation if the peasants were in the stockades they VietCong would not get the support they needed. The plan was taken from a successful anti guerrilla plan in the Malay Peninsular where it worked, however circumstances were very different there. The first pilot project was launched in March 1962 in Binh Duong province north of Saigon. The Vietcong disappeared as the government tried to set up the hamlets. It was problematic from the beginning. The hamlets were supposed to defend themselves but most of the men were already members of the Viet Cong. South Vietnamese President Ngo Dinh Diem was convinced this was the strategy that would win the war. The government announced at the end of September that 4,322,040 people had moved to the hamlets. The number was pure fiction. The program was a complete failure turning peasants who were being forced to move into the villages into enemies . American soldiers knew the truth but Diem would not listen.